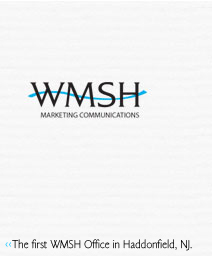 WMSH is an award-winning advertising and public relations agency with offices in Haddonfield and Trenton, NJ. Founded in 1997 by former principals of The Star Group and incorporated in New Jersey, the firm has significant experience working on behalf of organizations that compete in 17 major market segments. The agency’s staff has earned literally scores of awards, including Emmys, Addys, and more than two-dozen Pepperpot Awards recognizing outstanding public relations efforts from the Public Relations Society of America’s Philadelphia Chapter. Our mission is to achieve outstanding marketing results for our clients by delivering consistently excellent work. In return, we hope our clients will appreciate and value us as a true marketing communications partner. We firmly believe that our clients’ choices are not really drawn from the time-honored trilogy of “better, faster, and cheaper.” Rather, we believe that if—working together—we work "smarter," we can and will produce work that is better, faster, less expensive…and more effective. That said, we’re essentially storytellers. Award-winning storytellers.  • How to say it (the delivery). As a full-service agency, we believe in the power of selecting from among the complete spectrum of marketing communications tactics to reach target audiences on behalf of the organizations we represent. We specialize in delivering individual projects and campaigns on an as-needed basis. Think of us as the marketing communications version of “drop-shipping.” We do it well. We do it when you want it. And we make it affordable. All by working smarter than the other guys—at least that’s what we like to think. During the decade and a half that WMSH has been serving the regional marketplace, the firm has worked with a broad cross section of enterprises—including large public companies, closely held businesses, and government entities. In almost every instance, our clients have a strong business connection with either New Jersey or the Delaware Valley…and they have chosen to work with us because of our knowledge of this marketplace and our experience here. • Large organizations that everyone knows such as Aetna, AstraZeneca, BP, Lockheed Martin, Merrill Lynch, and Valero. • Organizations that aren’t household names, yet are worldwide leaders in their industries, such as Advanced Drainage Systems, Bentley Graphics, Godwin Pumps, New York Shipping Association, and the Project Management Institute. • Organizations that are well known throughout the tri-state region and beyond, such as the Cape May Jazz Festival, New Jersey Council of Teaching Hospitals, Rutgers University, Saint Barnabas Healthcare System, and Temple University. • Regional category leaders such as the Battleship New Jersey Memorial and Museum, Burlington County River Route, Delaware River Port Authority, South Jersey Industries, and the South Jersey Technology Park at Rowan University. • Units of state and local government, such as the New Jersey Departments of Environmental Protection and Military and Veteran Affairs, New Jersey Economic Development Authority, and New Jersey Housing Mortgage Finance Agency, and the New Jersey State Museum. • Not-for-profit organizations that make a difference every day such as the American Diabetes Association, Burlington County Chamber of Commerce, Community Foundation of South Jersey, New Jersey Child Assault Prevention, and the Salvation Army. Our principals bring a substantial reservoir of both strategic planning and research experience to bear on behalf of our clients. While most of the services that we offer fall into the category of “self-explanatory,” our research capabilities—particularly our qualitative research experience—are very different from those offered in-house by most agencies. 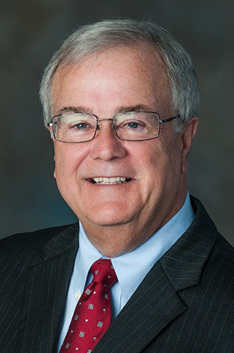 For more than a decade, WMSH Chairman Michael Willmann was responsible for the Research, Marketing, Public Relations, and Internet efforts at what is now The Star Group. As the management supervisor of all research efforts, Michael directed the work of that agency's in-house research arm, Benchmark Surveys. In that capacity, he established and coordinated relationships with more than a dozen outside research vendors and personally directed all of the agency's qualitative research, including personal in-depth interviews (IDIs), consumer intercepts, and focus groups. Those vendors with which both Michael and the other WMSH principals have established effective working relationships over the years include The Gallup Organization, National Analysts, Morhman Scott, Bruno & Ridgway, de Kadt, The Melior Group, PRC, The Vanderveer Group, The Response Center, and Attitude Measurement, among others. During that time Michael also completed the George Washington University School of Business and Public Management certificate course, Research for Results. In pursuing actionable research data for our clients, WMSH works in conjunction with, and contracts with, independent research companies on projects that demand greater resources than are available internally.